Next step is to create Wizard. 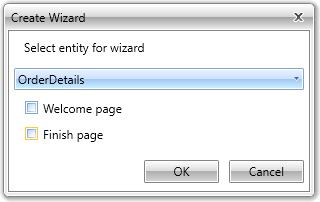 Wizards are edit forms - for creating and editing information. 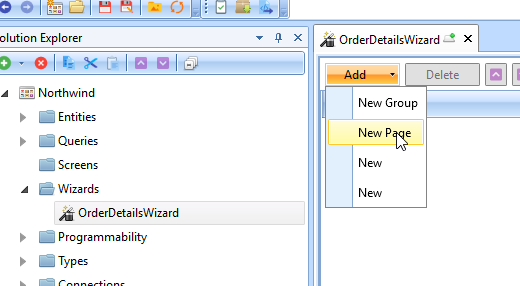 Let's take OrderDetails entity for creating a wizard. This case will provide better understanding on how Wizard could be called from Screen. Orders wizard could be created in a similar way but would be much easier for calling from Screen. 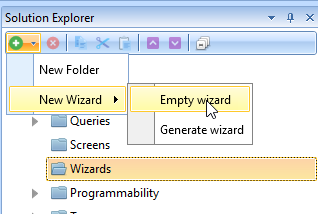 Select Wizards section and press Plus Button->New Wizard->Empty wizard. Select OrderDetails and uncheck Welcome an Finish pages. Click Add-> New Page and select newly created page. You will see available for editing fields. Select ProductID, UnitPrice, Quantity, Discount and press > button. Now select proper control for each field. CcComboBox for ProductID and CcNumericEditor for others. 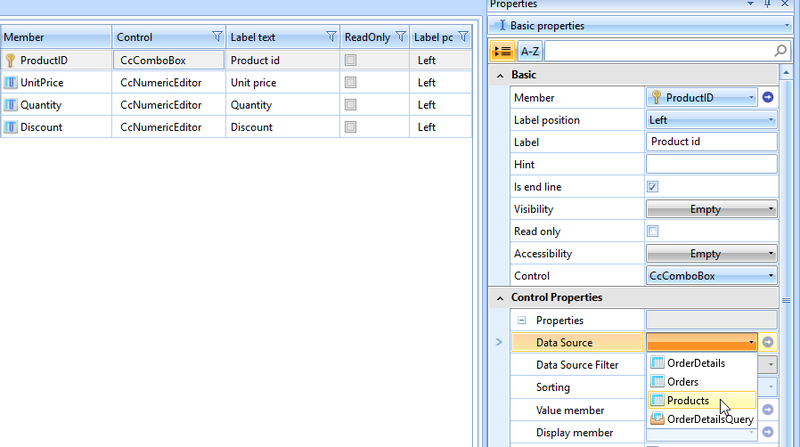 Select ProductID row and set up Data Source in Properties. 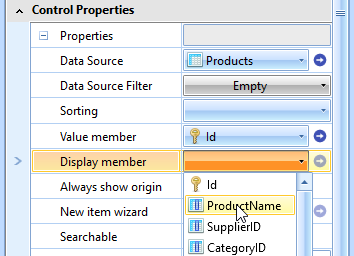 After you select Products entity set up Display member to ProductName. Now you have a wizard to add or edit you data. Next step is to assemble Query and Wizard in a Screen.